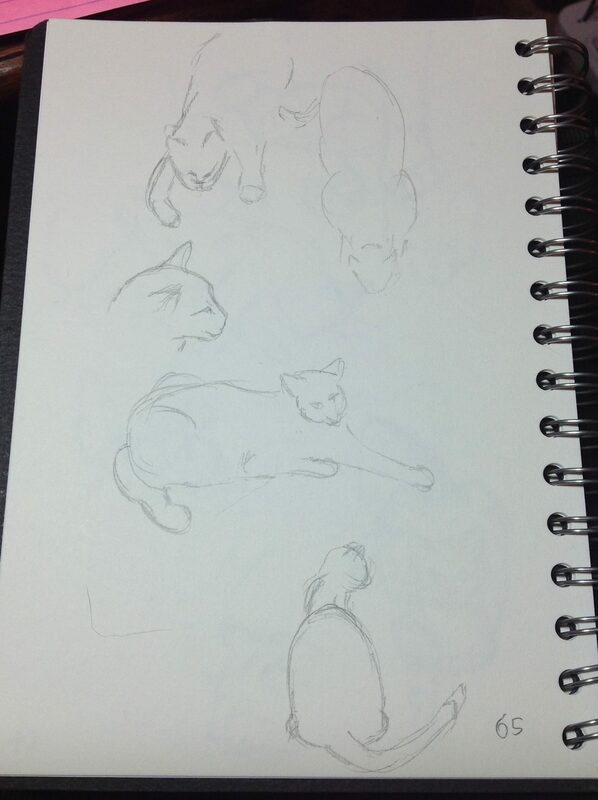 I suspect that my super quick sketches today display ever so slightly my… let’s call it resentment at today’s kitteh behaviour. For inexplicable reasons, both Grabbity and Mewton have decided that they don’t like their food, food they’ve been quite happily eating for months. It’s special urinary tract food, because poor Grabbity has awful bladder crystals last year and was peeing blood and in awful pain. She has loved this kibble, but yesterday and today has turned her nose up at it. I suspect that I am being played. I’ve been using treats to wake them up of an evening so that I can draw them, but I fear that they are now refusing to eat their kibble on the expectation that they will get treats later. I appear to have made a rod for my own back. So, quick, dirty and slightly grumpy quickies today.